Hi all. 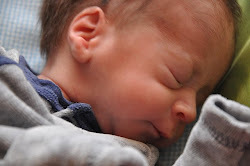 I have been thinking a lot about this blog...it was first started as a TTC with IF blog and I never intended for it to become an "all about baby" blog, but thought an update was in order. T is now 15 months old, 20lbs 15oz (7%), 31.something inches (65%) and head circ is 91%. Walking, talking, and has 10 teeth (2 molars coming in - eeek!). He hasn't had an ear infection (yet) and has been in the best health since we brought him home from the hospital after his 13 day stay after he was born. Other than that? Not much going on. DH and I have talked about TTC#3, but at this point in our lives that is taking a back burner as we are both busy with our civilian and military careers. 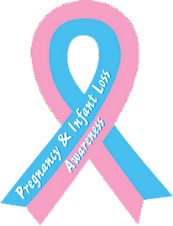 I long for another child, but value my health (and life) and there is always that fear lurking in the back of my brain as to what could happen if we TTC again (high chance at multiples and high chance at Pre-E/HELLP again). I love you more and more each day. Thanks for everything you have done for us to have the family we have. My journey through secondary infertility in a fertile world. Praying for a miracle and trying to trust in God's timing...All the while, trying to cope with everyone around me getting pregnant...IVF was the next step, but we got our BFP on injectables and TI!! !...I LOVE comments, so leave one and I will try to do the same! 2010 Feb-Apr - Metformin 1500ER, 100mg clomid (monitored) - no O saw many tiny follies, 100mg Clomid (10 days instead of 5) again saw lots of tiny follies. 2010 Oct - U/S found 2 subchorionic hemorrhages, ER visit due to severe bleeding, heartbeat and baby were doing great, told to take it easy. 2010 Dec - 20 week ultrasound was completely normal, gender is going to be a surprise! 2011 March - Baby born a bit early...7 weeks early due to severe pre-eclampsia and HELLP syndrome (came on suddenly)...Baby boy Trey was born 16 March at 1:35am, 3lbs 9oz, 16.5 inches long...spent 2 weeks in a level II nursery and then joined us at home! Pull up your potty seat, this could take awhile. Jessica's Journey to being one hot mom!